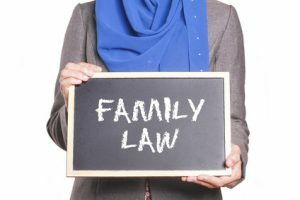 What to Know about Guardians Ad Litem For Your Family Law Case? Appointing guardians ad litem mean the children are actively involved in the legal proceedings of a case. Guardians ad litem are lawyers hired to represent children’s best interests in a court of law. Commonly referred to as a “GAL,” this legal professional can be requested by either party in a divorce or custody case and can also be requested and appointed by a judge. When guardians ad litem are requested, the appointed representatives must disclose their relationship with the children in question and whether that relationship is financial, familial, or social in nature. Once the relationship of the requested GAL has been revealed, the court has the discretion to either allow the individual to be the child’s representative or to dismiss the requested GAL and ask for another individual to be appointed. When it comes to paying the legal costs of a guardian ad litem, the court may order either one or both parties to pay for the GAL’s work – this split could be done 50/50 or proportionally based on each party’s income or income potential. Do You Need One for Your Family Law Case? Ultimately, a GAL’s client is not the child but the child’s best interests – a GAL is not brought into a case to defend the child’s objectives or wishes but instead to ensure the child’s best interests are taken into account and honored during the case. A GAL has full discretion when it comes to determining the child’s best interests, and in some cases, what the GAL may feel is in the child’s best interests is not what the parents or child imagined. During the case, the guardian ad litem is tasked with performing an investigation that includes interviewing both the child and the parents. The GAL may also choose to interview other parties to obtain more information, and these individuals may include teachers, sports coaches, relatives, and even mental health professionals who have come in contact with the child. The GAL also works alongside the family law lawyers representing both of the parties in the case. It is important to note that appointing guardians ad litem mean the children are actively involved in the legal proceedings of a case. In order to best perform their duties, it is often required of GALs to meet with the children in their homes on a regular basis throughout the case. While guardians ad litem are meant to protect the child’s best interests, it is possible that the process of using a GAL could create an environment of stress and anxiety for a young child. My son had this child.and they live with his sister.the child is in school.and his sister help with the child.the mother has do some thing to a child that was abuse..so he wants the child and for her to see the child .and let his sister make the difference.want to done.